A look at 35 trips that highlight some of the most interesting, scenic and rewarding railway journeys in Australia and New Zealand. They include the renowned long-distance journeys, such as The Indian Pacific in Australia that takes travellers on a three-day trip from Perth to Sydney or the The Northern Explorer in New Zealand’s North Island that stretches from Wellington to Auckland, as well as those that traverse stunning scenery, such as New Zealand’s TranzAlpine train or the Spirit of the Outback in Australia. There are also routes on which restored steam locomotives operate and other lines included for the wonder of their engineering. Trains are a great way to travel in these countries, taking you at ground level past superb scenery that often cannot be seen by any other means of transport. 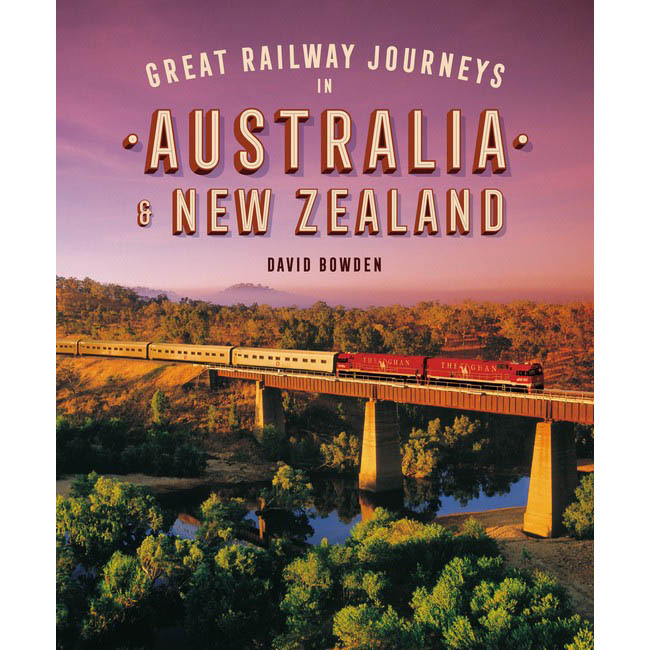 David Bowden’s entertaining text describes the route, the major features of interest along the way and any special technical details about the locomotive or the track.